The Fuicchi differ from most established bloodlines in many ways. They're history is completely known, it was only created in the past few generations, it does not originate in a specific region, and the members in some cases are not even related. Most importantly, it was made, not born. 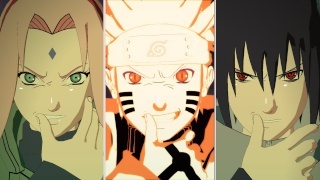 Its origins lie in the aftermath of the Fourth Great Ninja War. For a time, shortly after the fighting settled, anti-shinobi sentiment was very high. Many people and nations started to believe that shinobi where a source of conflict, given that the roots of the war lay entirely in the internal affairs of one village. As such, they were called upon less during these times and often, when one expected shinobi combat, it was often mercenaries of a different ilk that were called upon to deal with them. It is within these hired soldiers that the Fuicchi descend. With the following years of warfare, very few of these soldiers survived, and those that did often formed groups and raised families. After the first few generations of these families, a phenomenon was discover. Within many of these families, the ability to disrupt the natural flow and use of chakra in numerous ways was to be found in several individuals. Where this ability originated from is still unknown. Many believe it was natures answer to the shinobi, other considered in divine favour in the act of destroying them. The most commonly accepted theory was that, given an environment where one must fight shinobi, but must not be a shinobi, that the ability simply emerged from a pre-existing condition through the warfare. Regardless of the source, many parties where interested in these abilities. Governments, criminal organizations, the mercenary groups themselves, and rumour says even emerging villages began gathering these individuals and started an inter-breeding program to stabilize, and if possible amplify, the new bloodline. The result was the modern Fuiichi bloodline, proving to be the only one of these abilities that could actually be reliable to emerge in every generation. Despite the success of the breeding programs, they actually proved to be the emerging clan’s downfall. With so many programs scattered about, and so many of them working to gather to avoid the genetic pitfalls of inbreeding, it was inevitable that there be security leaks that would topple entire networks. Before large groups could be created, or many who possessed the abilities could establish themselves, shinobi villages began to individually hunt down the groups in secret, all coming to the conclusion that these people could not be allowed to exist in the shinobi world. It wasn't until the villages individual operations began to interact, with networks crossing borders between the nations, that the shinobi villages realized how widespread the problem was. Having assumed these groups acted alone, they had hunted the groups down mercilessly. Those who knew doom was approaching scattered, and those that didn't were not without their survivors. Thus it was agreed between the emerging villages, anyone born with these abilities was officially committing a crime by existing, punishable by life in prison. 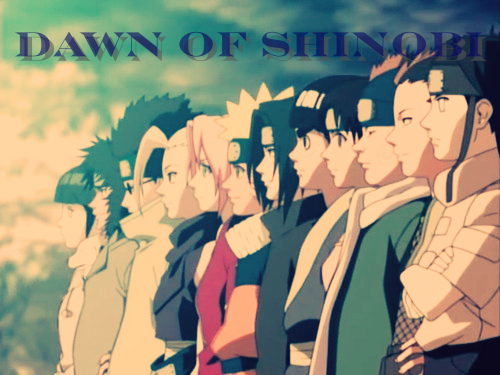 With the whole shinobi world on watch for the Fuiichi, they went into hiding further scattering and never forming a clan. They spread to every corner of the ninja world, even hiding within ninja villages. Thus the clan descended into myth, becoming the bogeyman for chunin to scare wayward academy students into line. The Fucchi's ability is caused is caused by the nature of their own chakra. All fuicchi posses’ large amounts of chaotic, disruptive chakra that constantly regenerates at a high pace, being expelled from the body into the atmosphere around it. The ability affects the Fuichhi more than any other being, and thus he connat learn any justsu except taijutsu, time and space jutsu, and jutsu using pure chakra. Medical justu and genjutsu both do not work on a Fuicchi. The Tuichhi naturally posses’ excellent chakra control, from a lifetime of having such horrible chakra within their bodies in such large amounts. They also have the ability to expel it from every chakra, as their body is doing so constantly since birth. While the Fuicchi abilities can already be seen as a double edged sword, they also take a disastrous affect on the body. While having no specific affect visibly, the chakras in a person body also naturally aid the use of internal organs. With such violent chakra in their bodies, these are injured constantly over the fuicchi's lifetime, which will inevitably end at around 50 from massive, multiple organ failure. While this same chakra flowing in the system also provides the immunity from genjutsu the Fuicchi enjoys (you can't disrupt their chakra flow more than it already is), it also makes them horribly afflicted my jutsu that stop chakra flow entirely, to the point of it being extremely painful and ultimately fatal if not reversed. Also, the distinct feeling of the chakra the Fuicchi emanates is discernable to anyone in the affected radius Any Shinobi within its radius can naturally feel the source of disturbance, and ninja with chakra sensing abilities can detect them from far distances. It also causes the person to be disliked, as even the common person fells off put by the chakra in the air. This is a very...very...very...well put bloodline. It is described superbly and is a rare site...hell its so well put together I might actually ask you to reword my bloodline for me.